The pharmaceutical industry in India is in serious need of a strategy rethink. Constant policy interventions for over a year and the growing uncertainties around those have sorely hit the sector, so much so that the key players are determined to get better of those deterrents and regain their growth momentum, especially in the domestic sector. Going by sheer numbers - around `1,00,000 crore or $15 billion in domestic sales out of $32 billion total revenues earned in 2015/16 according to industry estimates - both local production and local markets play a key role in this sector. Some 500-odd firms account for the bulk of domestic sales, about 85 per cent, and the recent regulatory changes at home have hit this native pharma industry quite hard. As for the elites, 20 or so leading players (the likes of Sun Pharma, Dr. Reddy's, Lupin, Zydus Cadila and Cipla) accounting for 75 per cent of the total pharma exports to the US, the going has been tough there as well, but more on that later. For most Indian companies catering to the domestic market, growth has been sluggish over the past two years due to four major deterrents. To start with, the Ministry of Health and Family Welfare banned 344 fixed-dose combinations in 2016 that affected 6,000 brands produced by 100-plus companies. The ban followed recommendations of an expert committee that they lacked therapeutic justification. The Supreme Court is now hearing the matter. Next came demonetisation and remonetisation - the banning and reintroduction of high-value currency notes that had thrown many Indian businesses out of gear. According to industry estimates, overall sales fell about 2-3 per cent, largely due to the changing pattern of purchase, especially for chronic ailments such as diabetes and hypertension where medication is required every day. The implementation issues surrounding the Drug (Prices Control) Order, 2013, or DPCO, have arguably shaken the industry's confidence. The reason: The practice of not changing the list of essential drugs but invoking Para 19 provision of DPCO, which gives the regulator the power to control the prices of drugs that are not under the National List of Essential Medicines. Indian drug price regulator National Pharmaceutical Pricing Authority has put a cap on some knee implants as well as some cardiovascular and diabetes drugs. Commenting on the development, D.G. Shah, Secretary General of Indian Pharmaceutical Alliance, says, "The delays in securing price approvals for newer products are hindering growth, and there is an element of arbitrary implementation of the DPCO." Such measures could easily impede a company's growth if it is trying to launch a drug or innovate on an existing combination drug where one of the molecules is under price control. It also hinders planning for future growth as the regulator could invoke Para 19 at its discretion. Plus, there are very real possibilities that more drugs will come under price control or the proposed pharma policy may change further, bringing in more unappetising surprises. Incidentally, around 24 per cent of the drugs (by volume) in the Indian market are already under price control. Finally, the introduction of the Goods and Services Tax (GST) created a wide range of logistics, dual taxation and pricing issues, leading to destocking by dealers and subsequent fall in sales. Experts and analysts alike told Business Today that the net result could be seen in the gradual but certain reduction in the growth rate. Three years ago, the growth rate hovered around 15 per cent, but last year, it was down to 12 per cent. Post-GST, the sector has even witnessed negative growth. It has now recouped and is hovering around seven-eight per cent. 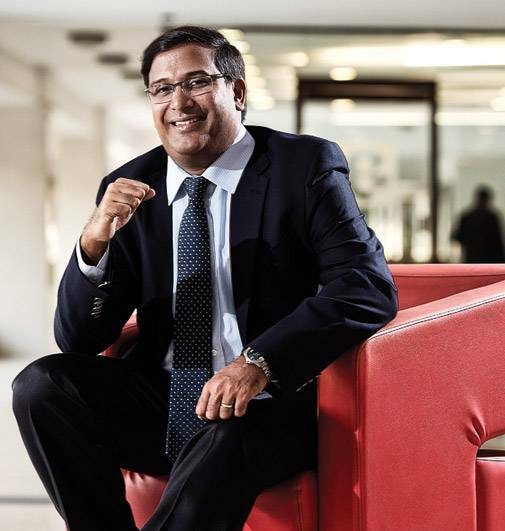 Glenn Saldanha, Chairman and Managing Director of Glenmark Pharmaceuticals, tends to be optimistic. "Last year, several factors contributed to the slowdown.But these are now behind us. The road forward looks good, and I do feel the growth rate will reflect good health in the next one year." Other players, however, think that their worries are far from over. The rumoured move to increase the number of drugs that will be subject to price control is a major concern. Besides, there is no certainty about the final shape of the new pharma policy or its date of implementation. When circulated for opinions, the draft policy left stakeholders unimpressed. Moreover, there are concerns regarding costs if mandatory tests for bioequivalence and bioavailability are to be carried out. Smaller firms are likely to be hit hard by increased input costs, required to run these tests. Similarly, phasing out loan licensing will adversely affect the viability of niche players who depend on just one or two key molecules. The headwinds are there for sure, at home and in the US, the latter being the biggest global market for Indian pharma majors. Analysts point out that the two key markets - India and the US - jointly account for about 80 per cent of their total profits. The US story is fraught with regulatory action from the US Food and Drug Administration and price erosion due to increased competition and channel consolidation (merging of big players who buy generic drugs in which India specialises). These pain points are hard to ignore as the US market will not die down, and every company is looking to build and grow there. Faced with strong challenges, Indian companies have started looking at what exactly lies in their favour. While midsize and smaller players are trying to build a presence in the US, the bigger firms are exploring ways to redefine their US presence by foraying beyond generics and looking at markets beyond the US for the long term. According to G.V. 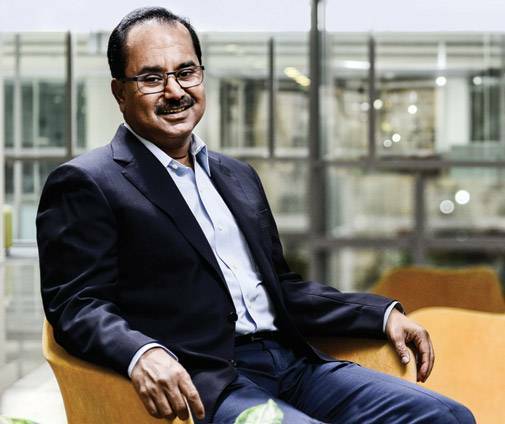 Prasad, Co-chairman and Chief Executive Officer of Dr Reddy's, "Moving to markets outside the US is a longer-term strategy because building sales in emerging markets takes a long time. You have to build brands. It is a three to five year strategy where you can diversify your revenue from concentration in India and the US." Expanding to other geographies could not be a random pick. Reliance on the institutional or non-retail model is is a strategic choice today based on product portfolio. While some companies focus on more mature markets like the US, Europe and Japan, others go for emerging markets where many like Glenmark and Dr. Reddy's were hurt due to currency volatility. However, in Europe, Indian companies such as Dr. Reddy's are moving beyond Germany and the UK, into France, Italy and Spain. Indian companies could also be trying to strengthen their generics powerhouse status via strategic acquisitions. The Torrent-Unichem deal, announced in November 2017, seems to indicate it. Torrent has acquired the domestic branded business of Unichem, gaining access to the company's 120 brands sold in India and Nepal along with its manufacturing unit in Sikkim. 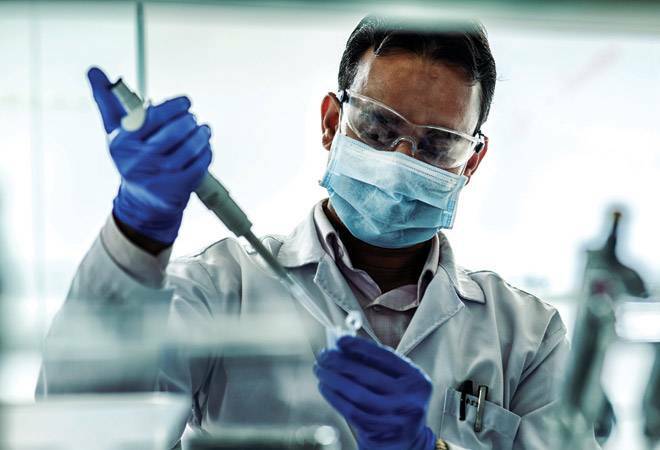 Ahmedabad's Eris Lifesciences is also acquiring the India brand business of Bengaluru-based Strides Shasun, which will give it access to Strides' generics business. Industry observers, however, think that these mergers and acquisitions are more in sync with company-specific requirements, led by their investment priorities or finances, and could not be classified as a trend yet. Most of the leading companies are now reworking how they should invest and approach markets while keeping a tab on every rupee spent on research. Sun Pharma, for instance, is developing a speciality products pipeline for the US market with a focus on select areas such as dermatology, ophthalmology and oncology. Lupin is looking at generics in the respiratory health segment as well as biosimilars and speciality products. Bowing to the constraints of the business environment, the company has cut back on its expenditure for novel drug research. Glenmark, traditionally known to focus on innovative products, now looks at immediate or short-term, result-yielding products within its generics business. Over the past two quarters, most major Indian players have cut back on or normalised their R&D expenses as against an earlier trend that called for increasing the investment rate. In fact, taking a look at Dr. Reddy's will help one understand how R&D spending has changed over time. About a decade ago, the company would invest a huge amount, around `100 crore a year, on new chemical entities (NCEs) or molecules. Today, perhaps it is investing more, but the nature of investment has changed. Ask Prasad, and he explains, "Today, we invest more than `100 crore, but most of that money goes to clinical development as opposed to early-stage research. The earlier model was to license out. Now we want to take our products to the market ourselves." He is referring to what Dr. Reddy's terms its proprietary product business. The company has an interesting tag line for this stream of business: Leveraging science for a better patient experience. Simply put, the innovations could be on known basic ingredients of a drug, but the focus would be to come up with a product that is either an innovation around dosage or a new combination of synergistic medications or adding convenience in the administration of the drug. For instance, it has launched two products in the US market aimed at improving patient convenience. The drug is now available as an injectable and a spray. Where is Indian pharma headed now? The best answer comes from a recent investor presentation by Lupin's Managing Director Nilesh Gupta. "The next two years are going to be challenging as we are investing in three key drivers for growth - complex generics, biosimilars and speciality/branded products. But the returns will start only in the next two years." He says these areas, where development costs are high, may need separate scientific expertise in some cases. In the case of biosimilars and speciality, the company will build separate front ends as the products must be directly marketed in target geographies (like the US). Not easy, some will say. After all, it is not something that the Indian pharma has done traditionally to build their generics business.